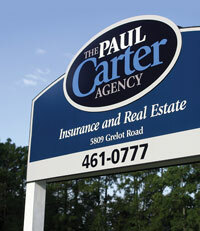 The Paul Carter Agency is a family-owned insurance and real estate agency in the Mobile area. The Paul Carter Agency offers a wide variety of services. We can design a comprehensive insurance program for your home or business at the most competitive price available, help you find your dream home and manage your rental property. We represent many of the world's largest and most successful insurance companies like Travelers, Safeco and Progressive Insurance. Click here for map and directions to our office. "Bringing Integrity to Real Estate"
Welcome to your new home! Immaculate custom-built executive home in West Mobile! This spacious beauty in prestigious Cameron Place features 5 bedrooms plus a bonus room, hardwood floors, excellent floor plan, granite counter-tops, over-sized closets, high ceilings, screened porch, tons of storage space throughout, and so much more. The estate sized lot provides plenty of room to play, add a swimming pool, or start a garden. Call your Realtor right now! You won't be disappointed.